Devilishly entertaining! The movie has a heart, a mind and a gentleness of spirit that parents will welcome! A hyperactive, wishful-thinking special effects fantasy! Chows new movie CJ7 confirms that he deserves the recognition once given great movie artists... graceful, buoyant and satisfying! It is safe to say that no one makes movies quite like Hong Kong-s clown impresario Stephen Chow. 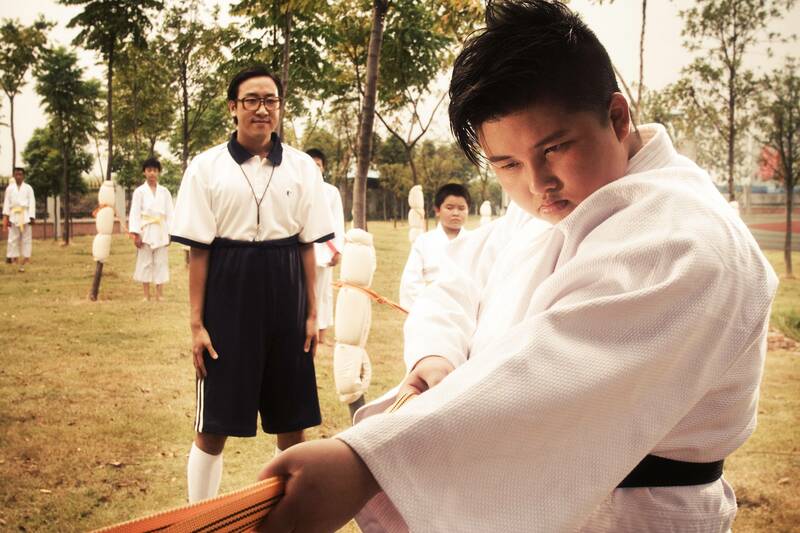 From Stephen Chow, the director and star of Kung Fu Hustle, comes CJ7, a new comedy. Ti (Stephen Chow) is a poor father who works all day, everyday at a construction site to make sure his son Dicky Chow (Xu Jian) can attend an elite private school. Despite his father's good intentions, Dicky, with his dirty and tattered clothes and none of the "cool" toys stands out from his schoolmates like a sore thumb. Ti can't afford to buy Dicky any expensive toys and goes to the best place he knows to get new stuff for Dicky - the junk yard! While out "shopping" for a new toy for his son, Ti finds a mysterious orb and brings it home for Dicky to play with. To his surprise and disbelief, the orb reveals itself to Dicky as a bizarre "pet" with extraordinary powers. 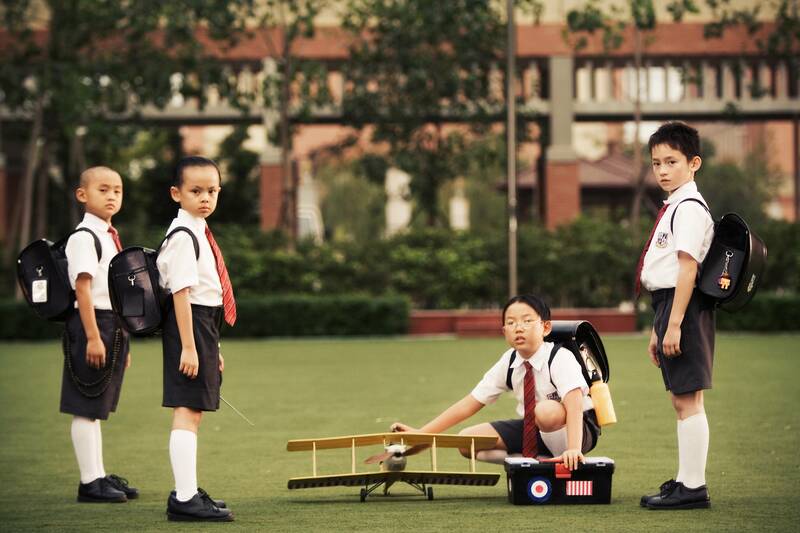 Armed with his "CJ7" Dicky seizes this chance to overcome his poor background and shabby clothes and impress his fellow schoolmates for the first time in his life. But CJ7 has other ideas. Left: Xu Jiao as Dicky Chow, Right: Stephen Chow as Ti Chow © 2007 Star Overseas Group, Courtesy Sony Pictures Classics. All Rights Reserved. 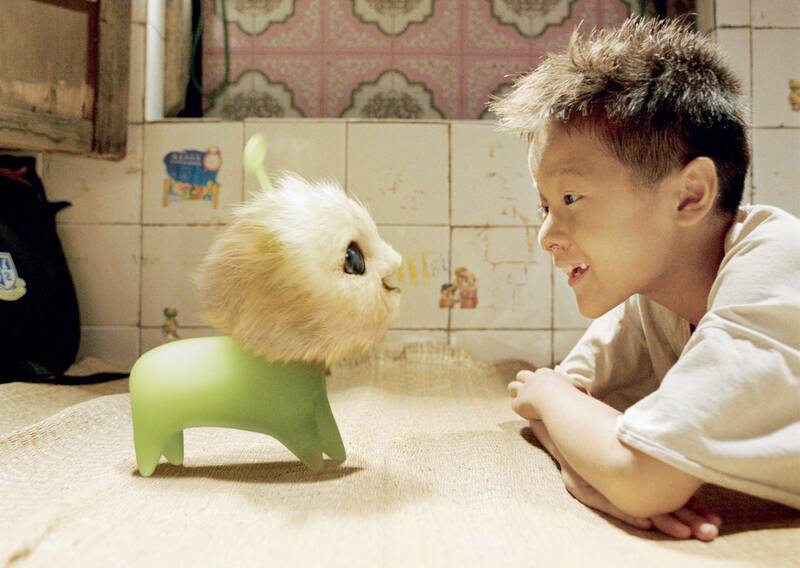 Xu Jiao as Dicky Chow with CJ7 © 2007 Star Overseas Group, Courtesy Sony Pictures Classics. All Rights Reserved. Xu Jiao as Dicky Chow © 2007 Star Overseas Group, Courtesy Sony Pictures Classics. All Rights Reserved. Left: Xu Jiao as Dicky Chow, Right: Han Yong Wua as Maggie © 2007 Star Overseas Group, Courtesy Sony Pictures Classics. All Rights Reserved. Left: Stephen Chow as Ti, Right: Xu Jiao as Dicky Chow © 2007 Star Overseas Group, Courtesy Sony Pictures Classics. All Rights Reserved. Behind the scenes of CJ7 - Left: Stephen Chow, Right: Han Yong Wua © 2007 Star Overseas Group, Courtesy Sony Pictures Classics. All Rights Reserved. 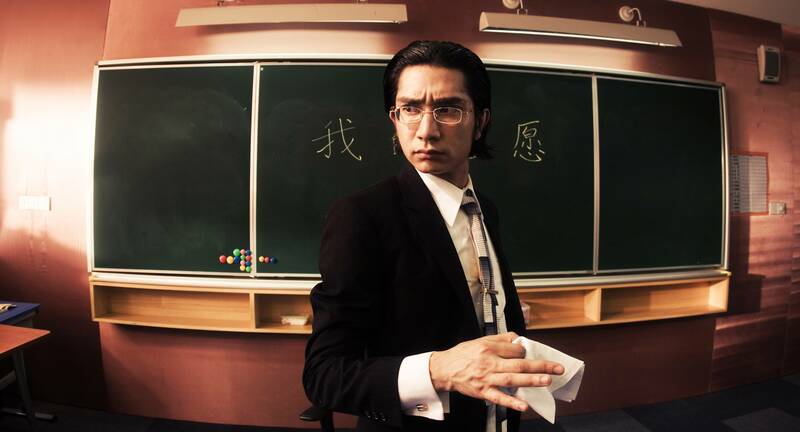 Lee Sheung Ching as Mr. Cao © 2007 Star Overseas Group, Courtesy Sony Pictures Classics. All Rights Reserved. Left: Stephen Chow as Ti, Right: Lam Tze Chung as Boss © 2007 Star Overseas Group, Courtesy Sony Pictures Classics. All Rights Reserved. Kitty Zhang as Miss Yuen © 2007 Star Overseas Group, Courtesy Sony Pictures Classics. All Rights Reserved. Left: Fun Min Hun as P.E. Teacher, Right: Yao Wen Xue as Storm Dragon © 2007 Star Overseas Group, Courtesy Sony Pictures Classics. All Rights Reserved. Xu Jiao as Dicky Chow. © 2007 Star Overseas Group, Courtesy Sony Pictures Classics. All Rights Reserved. Left: Xu Jiao as Dicky Chow, Right: Kitty Zhang as Miss Yuen © 2007 Star Overseas Group, Courtesy Sony Pictures Classics. All Rights Reserved. Center: Xu Jiao as Dicky Chow © 2007 Star Overseas Group, Courtesy Sony Pictures Classics. All Rights Reserved. Left to Right: Xu Jiao as Dicky Chow, Kitty Zhang as Miss Yuen, Stephen Chow as Ti Chow © 2007 Star Overseas Group, Courtesy Sony Pictures Classics. All Rights Reserved. 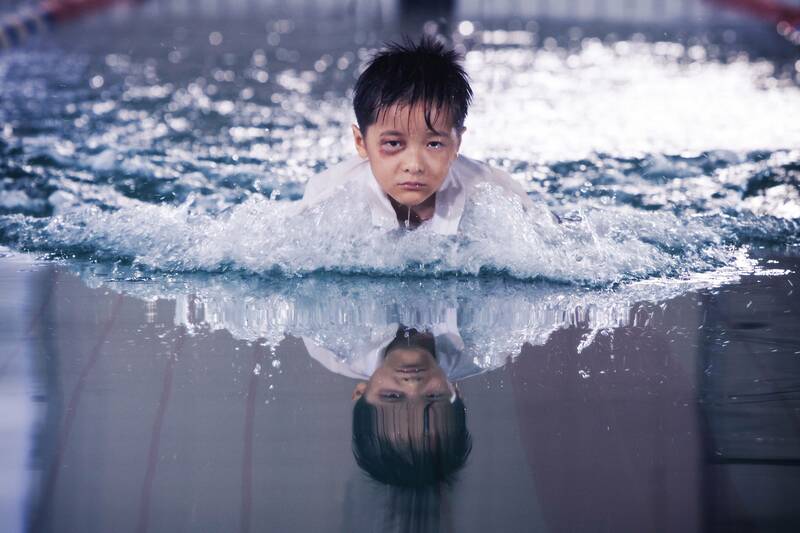 A scene from CJ7 © 2007 Star Overseas Group, Courtesy Sony Pictures Classics. All Rights Reserved.